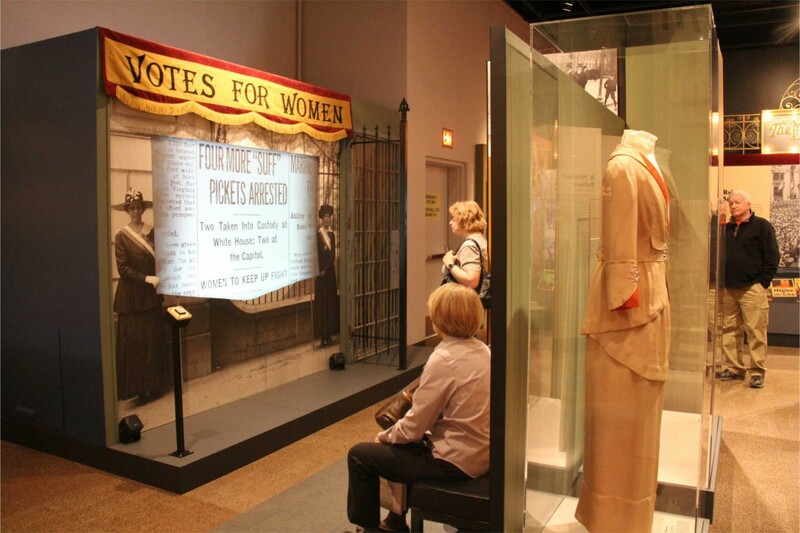 Visitors engage with an exhibit that explores women's suffrage in the United States during World War I. World War I America was funded with an NEH grant. Image courtesy of the Minnesota Historical Society. Since 1972, the NEH has made consistent investments in the Minnesota Historical Society (MNHS), an organization noted for the scholarly rigor it puts into its locations and exhibitions. The NEH has funded permanent and temporary exhibitions at the Minnesota History Center in St. Paul, as well as public programs, preservation projects, and installations at other sites across the state. While the MNHS has kept its focus on the people of Minnesota and their history and culture, its long-term partnership with the NEH has encouraged the organization to recognize that Minnesota’s story is also a national story and to create exhibitions with wide-ranging appeal. 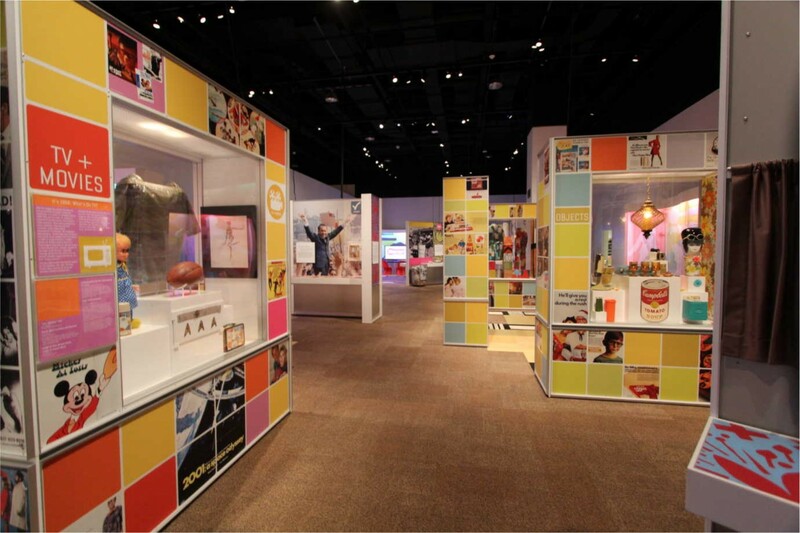 A portion of The 1968 Exhibit, a popular traveling exhibition created with funding from the National Endowment for the Humanities. Image courtesy of the Minnesota Historical Society. 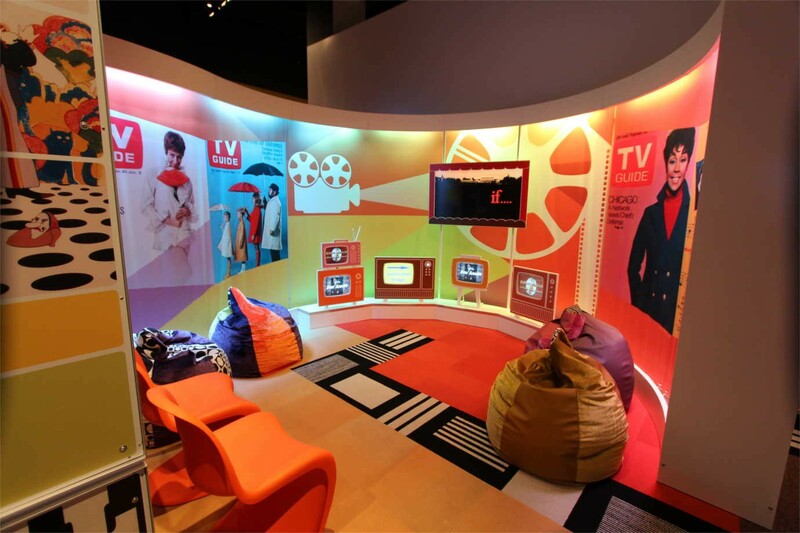 A portion of The 1968 Exhibit, which examined the tumultuous year through popular culture and momentous events. Image courtesy of the Minnesota Historical Society. Most recently, MNHS developed and designed two major exhibitions for its location in St. Paul and at other institutions across the country: The 1968 Exhibit and World War I America. According to Brian Horrigan, MNHS exhibition developer, NEH funding offers museum staff the time to work with scholars and carefully plan a compelling exhibition, which results in a higher quality visitor experience. The 1968 Exhibit broke attendance records both in Minnesota and in Chicago: Horrigan recalls “lines out the door and snaking around the streets” of people waiting to see it. 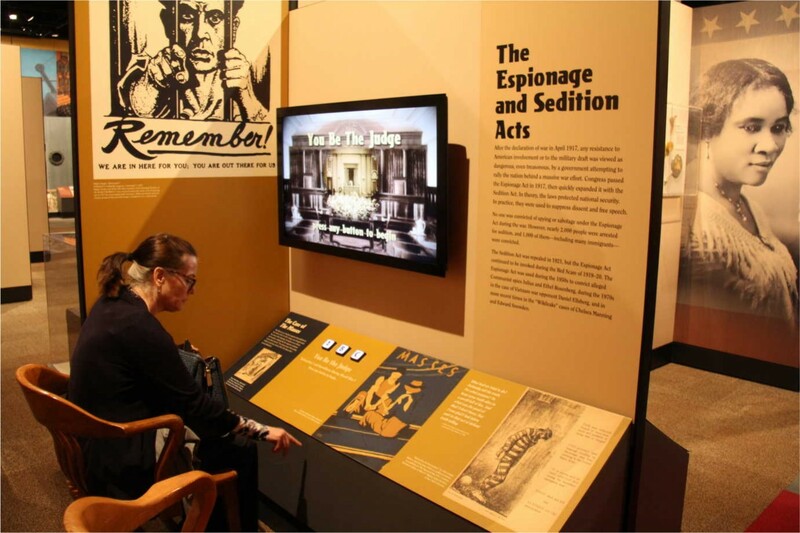 An exhibit interpreting the Espionage and Sedition Acts during World War I. Image courtesy of the Minnesota Historical Society. MNHS hosts an array of programs to accompany its exhibitions. In addition to events for the general public, MNHS designed special events for veterans and school children as part of its World War I America exhibition—the latter included a play exploring the history of World War I through the life of Stubby, a dog that “served” in the 102nd Infantry Regiment during the period. The 1968 Exhibit, which traveled to California, Pennsylvania, Missouri, Nebraska, Texas, Colorado, and Illinois, returned to the Minnesota History Center in December 2017 in commemoration of the 50th anniversary of 1968’s many historic events.